Your tax-deductible donation of any amount will directly help support our vision to break the cycle of poverty and homelessness for working families in Bergen County. Make a secure online donation via credit card. Mail a check payable to Family Promise of Bergen County at 100 Dayton Street, Ridgewood, NJ 07450. Call us at 201-833-8009 to make a donation via credit card. Recurring, monthly gifts provide the consistent, sustained funding that allows us to support our families as they transform their lives. Many companies will match their employees’ charitable contributions. Please contact your Human Resources Manager to see if your gift to Family Promise of Bergen County can be matched so your donation will have double the impact. Family Promise of Bergen County’s sheltering and support programs benefit from generous in-kind donations each year. Donations include new bedding, kitchen items, appliances, diapers, gift cards and other home goods. Because Family Promise does not own a storage facility or have access to a truck, donations are accepted on an as-needed basis. View our Wish List to see what the families in our programs currently need. Many donors make gifts using appreciated stocks and mutual funds because of the tax advantages. We encourage you to consult your financial planner or tax advisor who can assist you in evaluating the tax advantages available to you when making a donation of appreciated securities. Naming Family Promise of Bergen County as a beneficiary in your estate is a special and lasting gift. Planned gifts can be as simple as making an outright bequest or designating Family Promise as a beneficiary of your retirement plan, your life insurance policy, or a bank or brokerage account to help homeless children and their families. Planned gifts can include charitable gift annuities, charitable lead or remainder trusts and other deferred giving arrangements. We encourage you to speak with your lawyer or financial advisor to decide which is best for you. Your planned gift will have a lasting impact that changes countless lives! Good planning may be able to direct your assets to Family Promise of Bergen County so they do not pass through probate, avoiding both the delay and fees of that process. Thank you for your thoughtful planning. Local banks will contribute to Family Promise when you sign up for their programs, at no cost to you. This applies to existing banking customers or if you open a new account. Click on each to learn more. AmazonSmile provides an easy way to support Family Promise of Bergen County! The AmazonSmile Foundation donates 0.5% of the purchase price from your eligible AmazonSmile purchases to the charitable organization of your choice. Just log into your existing Amazon account through www.smile.amazon.com and select “Family Promise of Bergen County – A New Jersey Nonprofit Corporation” as your designated charitable organization. 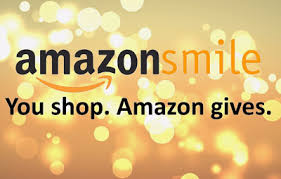 Amazon will remember your selection, and then every eligible purchase you make at smile.amazon.com will result in a donation to Family Promise. Tip: Bookmark smile.amazon.com to make it easy to return and then every time you shop, Family Promise will benefit! Please share this information with your friends and family & ask them to choose Family Promise of Bergen County as their charity of choice also!